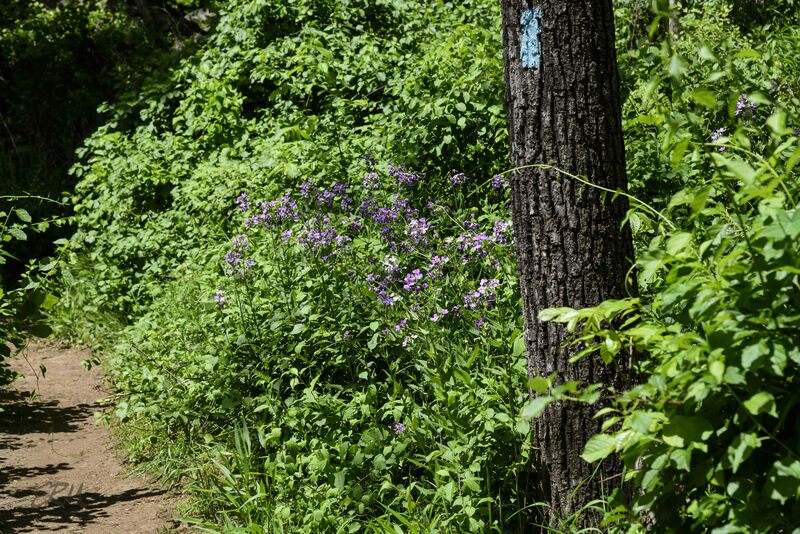 On the Billy Goat B Trail near the Marsden Tract, about ten days ago, there was a great stand of tall plants blooming in various shades of purple. In past years other hikers have asked me if I knew what the plants are. They’re so beautiful and eye-catching! And, guess what? As is too often the case with showy flowers, this species is an alien invasive. Its common name is dame’s rocket; the botanical name is Hesperis matronalis. The four-petaled flowers are typical of plants in the mustard family (Brassicaceae). Beginning wildflower enthusiasts sometimes mistake dame’s rocket for our native wild blue phlox (Phlox divaricata), which has flowers in a similar range of colors. 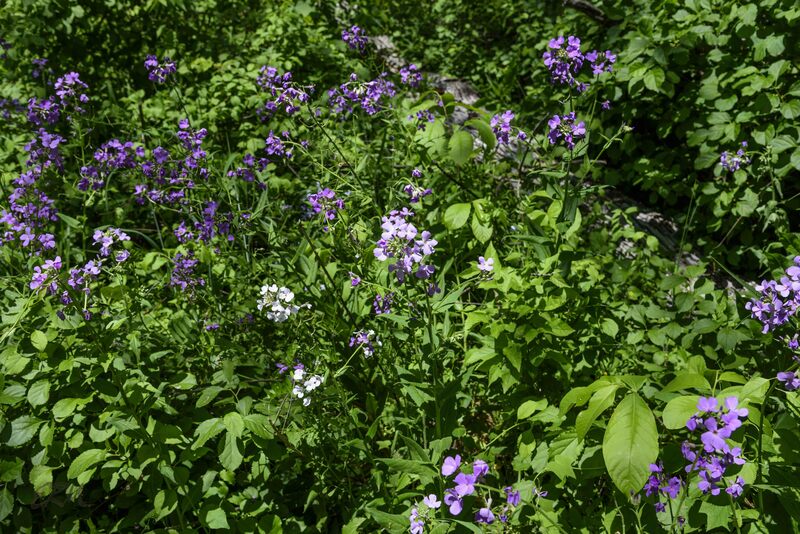 However, wild blue phlox is usually done blooming by the time dame’s rocket is starting. 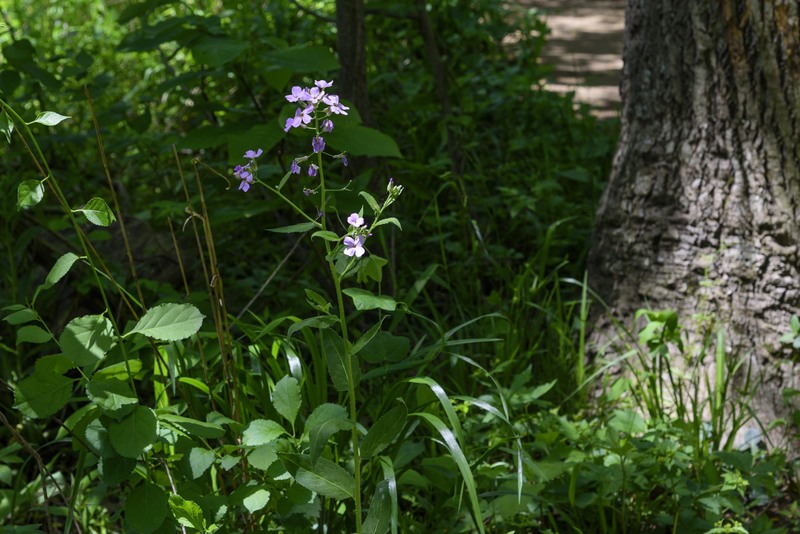 Also, the phlox is a shorter plant and has opposite leaves with entire margins, whereas dame’s rocket has alternate leaves with serrated margins. It shouldn’t be planted in Maryland, either. It self-seeds like crazy. 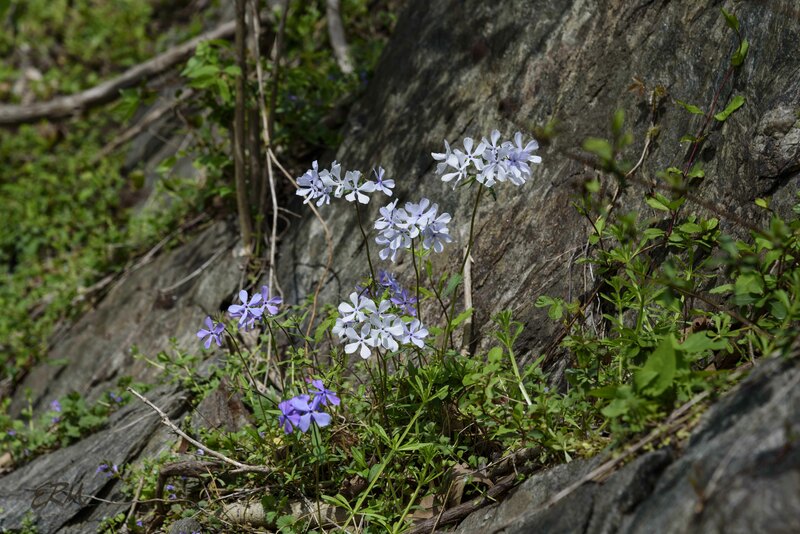 Come to think of it, wild blue phlox would make a wonderful substitute in the home garden. Unless you have rabbits. The rabbits destroyed mine within two days of planting last spring. 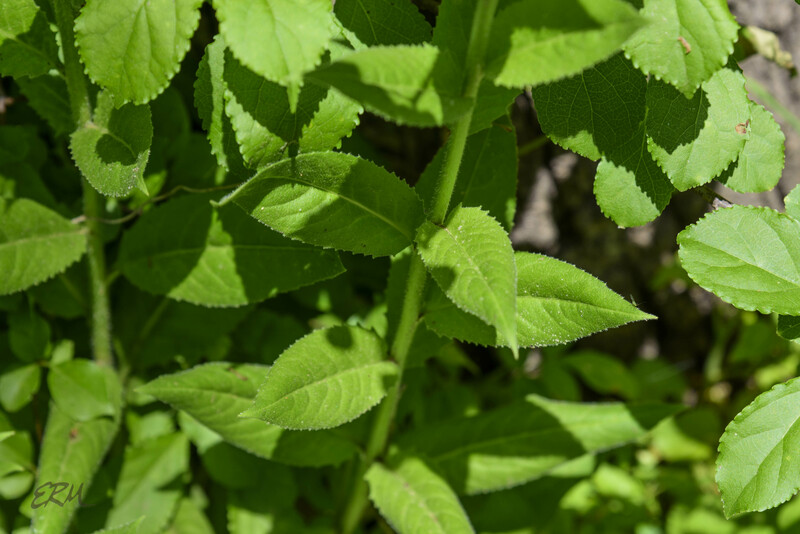 The generic name Hesperis is from the Greek word for evening, in reference to the pleasant fragrance the plants give at dusk. 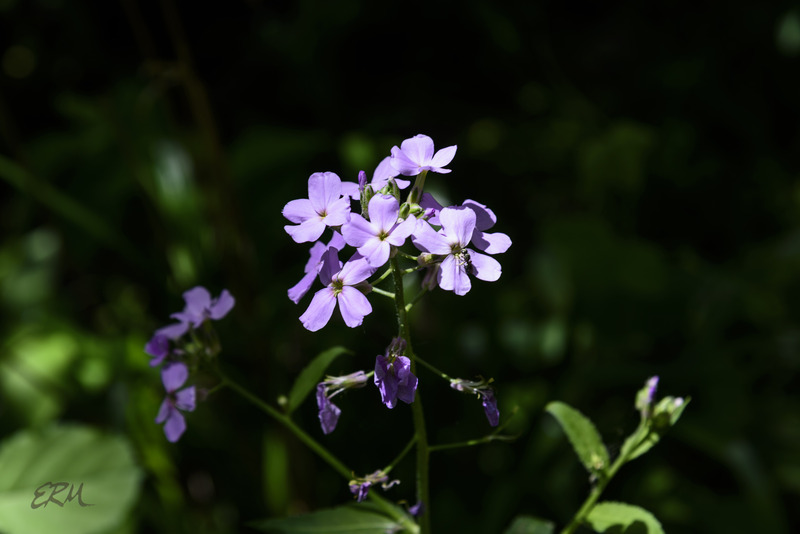 This entry was posted in Uncategorized and tagged Brassicaceae, Hesperis, Phlox by elizabeth. Bookmark the permalink.